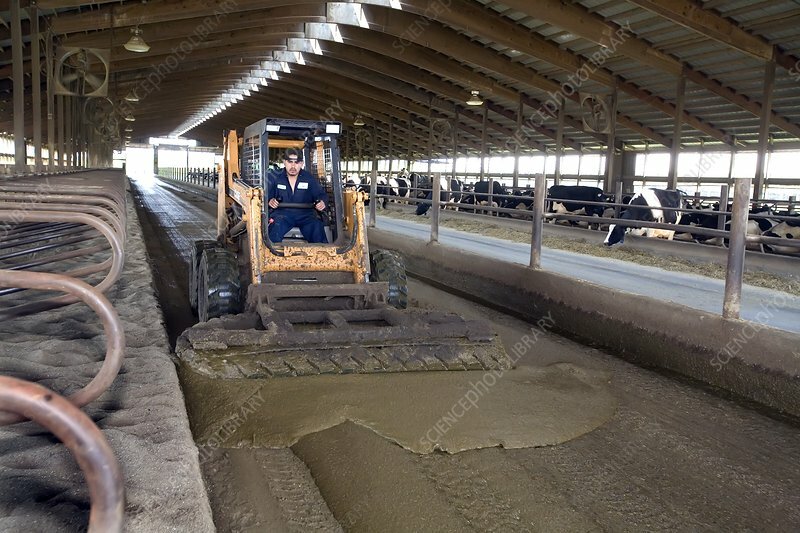 Collecting cow dung from a barn housing thousands of cattle. The dung will be placed into large tanks so that methane gas can be extracted from it. The methane will be used to power a generator on the farm. Photographed on a dairy farm in Elsie, Michigan, USA.